I want to speak to these young people who should be applying to a certain set of colleges but aren’t and ask ‘Why is that?’ Are we exposing students to a wide range of schools so that they understand what’s out there? That’s the issue. While visiting two high schools on opposite sides of Chicago, Rhoan Garnett (PhD ‘18) experienced first-hand the detrimental effects of the college information gap. Garnett, then assistant dean of admissions for Bowdoin College, started his day visiting a well-resourced school in north Chicago. He remembers students at the school being respectful and interested in speaking with him. Just an hour later, he traveled to a school serving poverty-impacted students on the south side of the city. In contrast to the first school, the visit was disorderly and the students largely ignored Garnett’s presentation, talking amongst themselves. “I remember getting back to my car and getting emotional,” Garnett says. “It had nothing to do with what the kids had just done; it was what I had seen. Garnett, a first-generation college graduate himself, was forced to drop out after his first year due to financial challenges and spent the next eight years completing his degree while working part-time retail jobs, often with full-time hours. Even before college, his path was unconventional, born and raised in the U.S. Virgin Islands before moving first to Miami, then Tulsa, Okla., for his freshman year of high school, before returning to the island where he grew up. 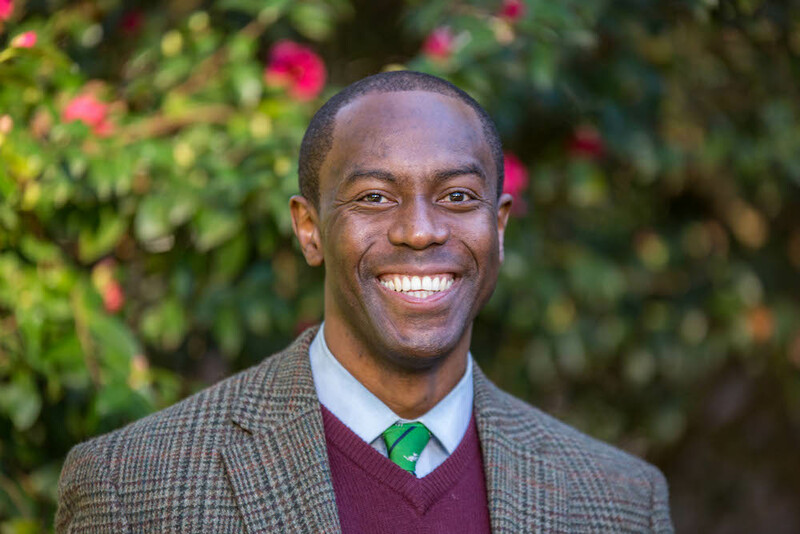 Through his experiences, Garnett, now a doctoral student in the University of Washington College of Education’s organizational and policy studies program, developed a passion for supporting students who take an unconventional path. Now, Garnett is researching a trend in higher education known as “undermatch.” It’s a phenomenon in which high-achieving students who attend low-income schools are less likely to apply to colleges that will help them achieve their full academic potential. These students are more likely to apply to local community colleges, if they decide to apply to college at all. From his work, Garnett has found that community-based organizations (CBOs) are critical in reducing the information gap about what opportunities in higher education are available to young people. One example is the Rainier Scholars program in Seattle, a comprehensive 12-year program of academic preparation, leadership development and personalized support for students from low-income backgrounds. These students gain more exposure to information about potential college pathways. Beyond information, Garnett finds that CBOs provide high school students with relationships that foster accountability and encouragement. While at Bowdoin, Garnett got a call from Link Unlimited, another CBO, asking about how one of their students was doing. Garnett told them the student seemed fine, but Link Unlimited said he was considering dropping out of school. They asked Garnett to take the student out to lunch, but not to tell him about their phone call. Inspired by the success of Link Unlimited and other CBOs, Garnett has since co-designed and co-created a bridge program at Bowdoin, which will begin in 2019. This program will support students by connecting them with resources to enable their successful transition to campus. In the future, he hopes to further limit the impacts of undermatch by providing students with information to make an educated decision about college. From that point, he feels that students need to be connected with resources and support to feel comfortable on campus.